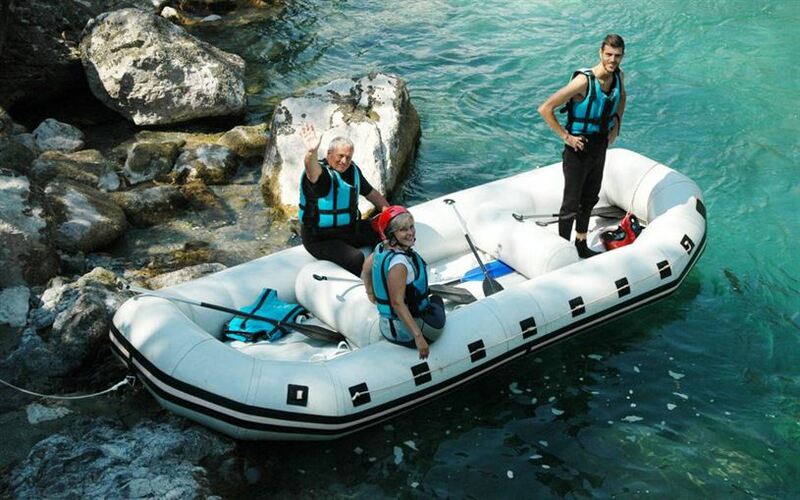 This is a fantastic adventure in case of one-day tours. We provide all equipment. You just need to come! 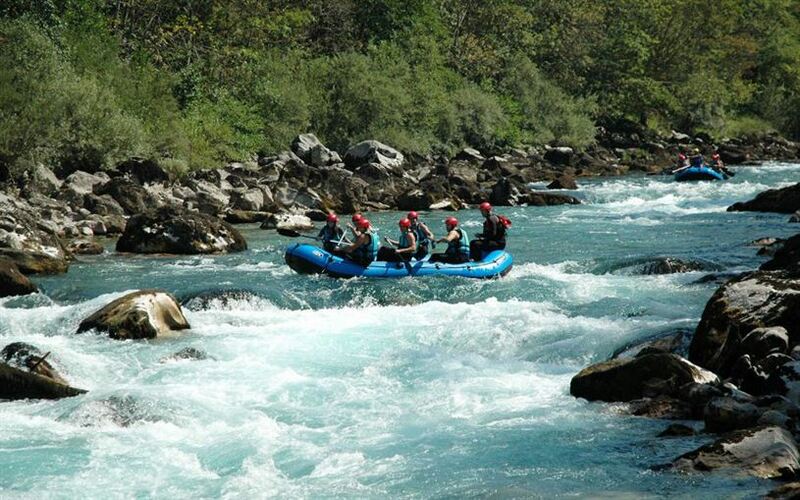 Rafting fusion is 16km. Children to the 12 years old- DISCOUNT! 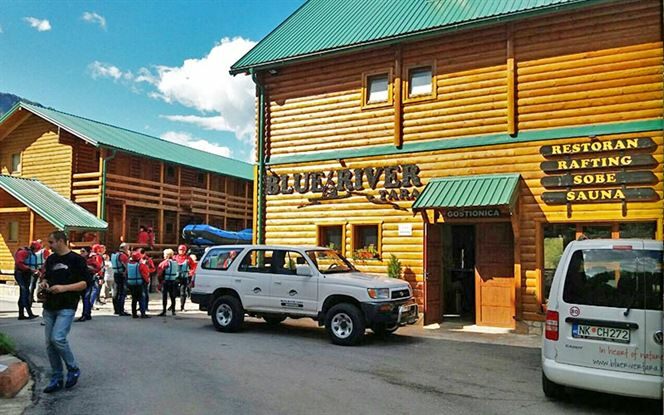 09:00h – Meeting in the Blue River Tara Centre. 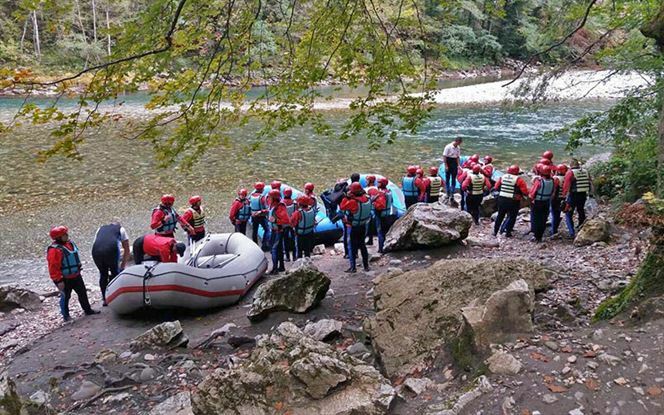 This is the right time to meet skippers and the rest participants of rafting. Also, to take a breakfast, enjoying in a different kind of homemade and traditional food in the restourat in front of the river Tara. 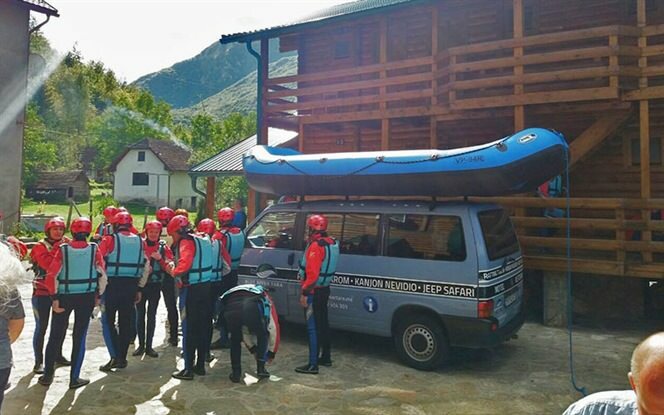 10:30h – Outset preparation for rafting. 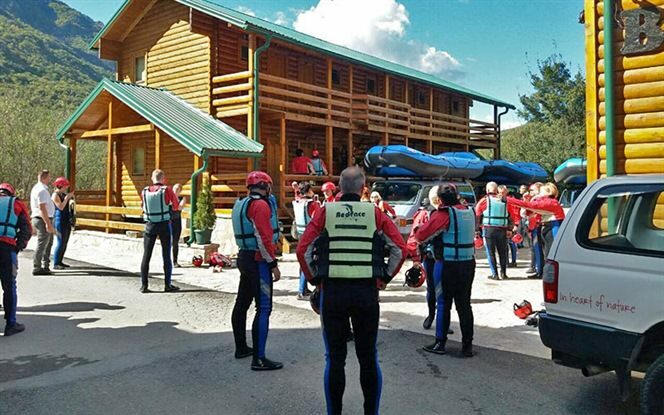 Equip yourself with professional equipment for rafting: neopren suits and boots, life jackets and hamlets( set for Go Pro camera). You can take camera or mobile phones with yourself because we have waterproof bags. 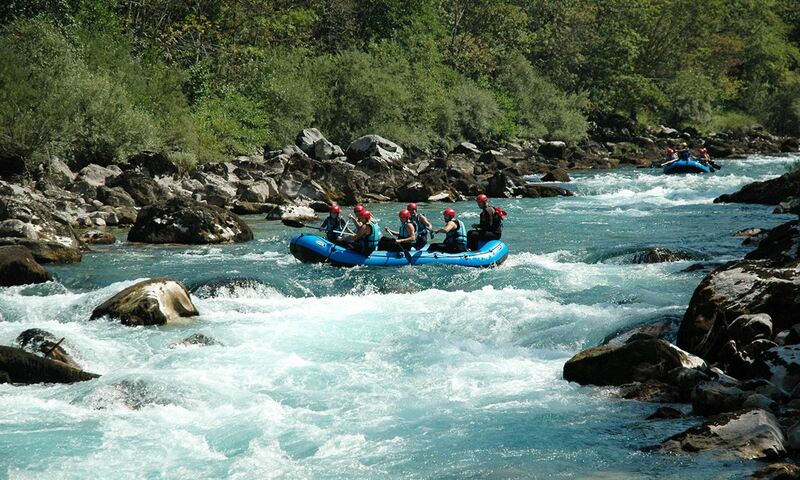 During the rapids you can put it inside, also during the pause or calm parts of the river you can have it. 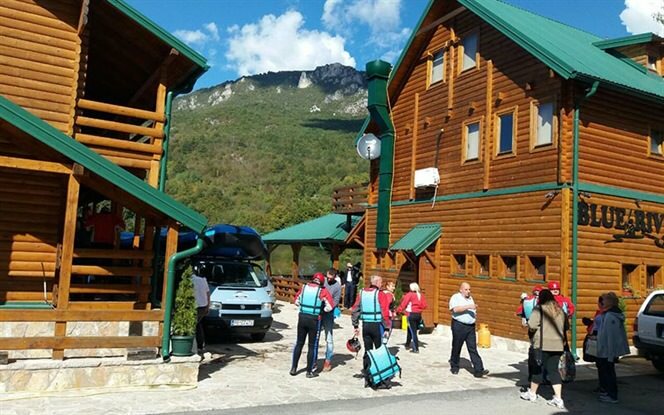 11:00h – You advenuture will begin with short and exciting driving with off-road vechiles to the Brštanovica (starting point of rafting). 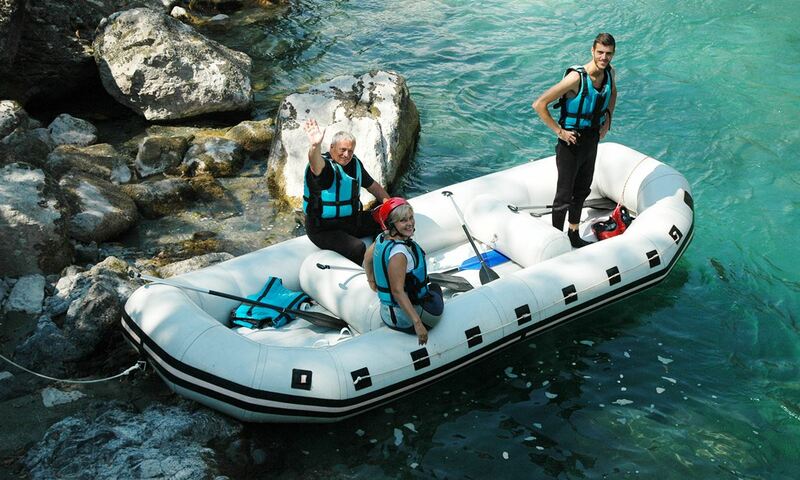 When you arrive, skipper will give you all instructions that you need for behavior on the boat and how to paddle. Important thing is that you need to listen skipper and be careful what he will say. 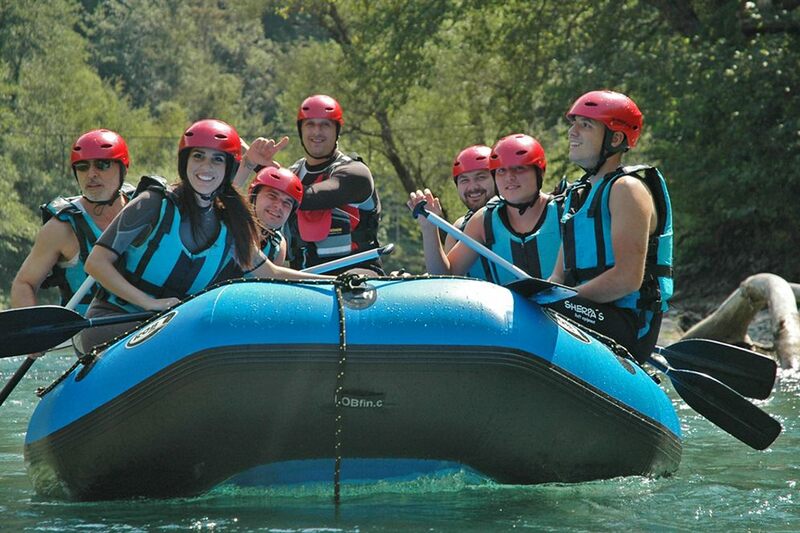 Also, he will inform you during the rafting before each rapid. 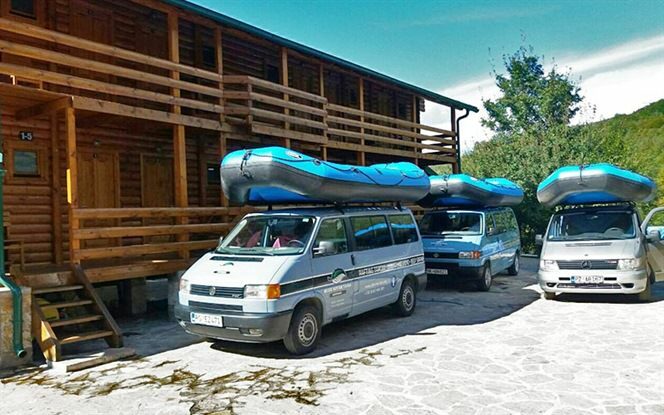 11:30h – In the first kilometres of rafting your excitement will start to grow up. 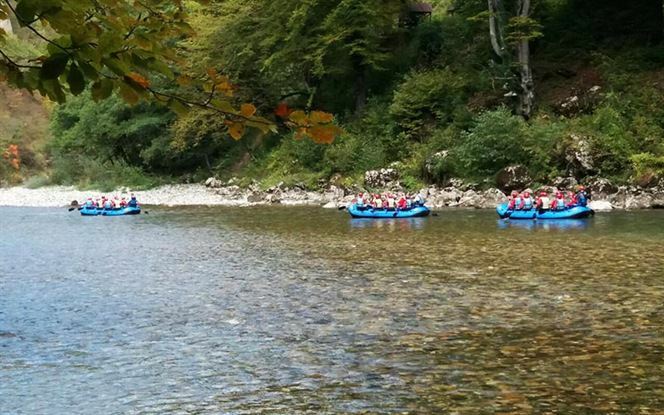 You need to exercise your rowing skills while you are hopping for the fast-paced rapids Vjernovići(level V), which follows Borovi, Varda i Čegrlo (level IV) and the rest 17 rapids ( level II-III). Tara River looks seems to has white restless, water staisr whit beutiful peaceful pools between rapid that allow you to rest, take a pictureof its unique landscapes, or to try out swimming in crystal clear but very cold water. We will make several breaks at the most beutuful places as wall as on the waterfall on Tara. 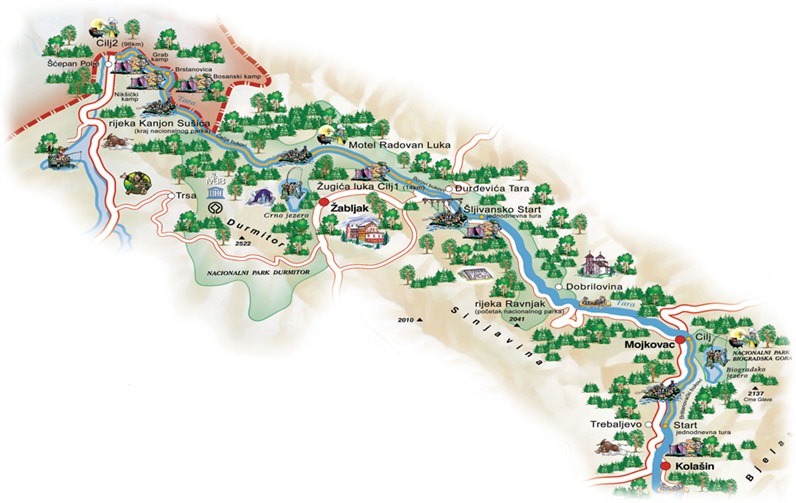 Also, do not forget that you can drink water from the Tara river which is officially declared the cleanest water in the world. 16:00h – Your rafting adventure fill finish in Šćepan Polje with fantastic lunch in our restourant. Our cooks will prepare the best spesialities from Montenegrian kitchen in which you will enjoy after day full of surpises (brandy, the best soup, troat, chicken or veal prepared in one of the best ways in Montenegro, SAČ). It is necessary to bring: swimsuit, sun protection and a suitcase for an unforgettable get-together and enjoy!